Tomorrow is Independence Day in the United States, commonly referred to as the 4th of July. Americans celebrate in a number of ways, and we’ve probably participated in most of them: fireworks shows, classical concerts ending with the 1812 overture, block parties and the like. This year we’re going with a quieter approach. Our boys have outgrown the neighborhood block party and frankly its a bit of a relief. I’ve always preferred smaller, quieter gatherings. Small talk wears me down and the heat of the day leaves me exhausted. The work involved setting up and tearing down tables and chairs, canopies, etc. is something I’m happy to leave in the past. Although fireworks are illegal in Santa Clara County, we’re hearing the percussive boom of mortars going off nearby. It’s a huge strain on the cats, who’ve retreated under beds or in closets. It’s hard seeing them frightened knowing there is nothing we can do but wait it out. Unfortunately, the worst is yet to come. As America celebrates its hard-won independence from the British Monarchy,I hope people will stop and reflect. What is the true meaning of democracy; why is freedom of the press so important? Our sitting president is making a mockery of what this country stands for. On the eve of what should be a great celebration, it’s hard not to feel a little blue. 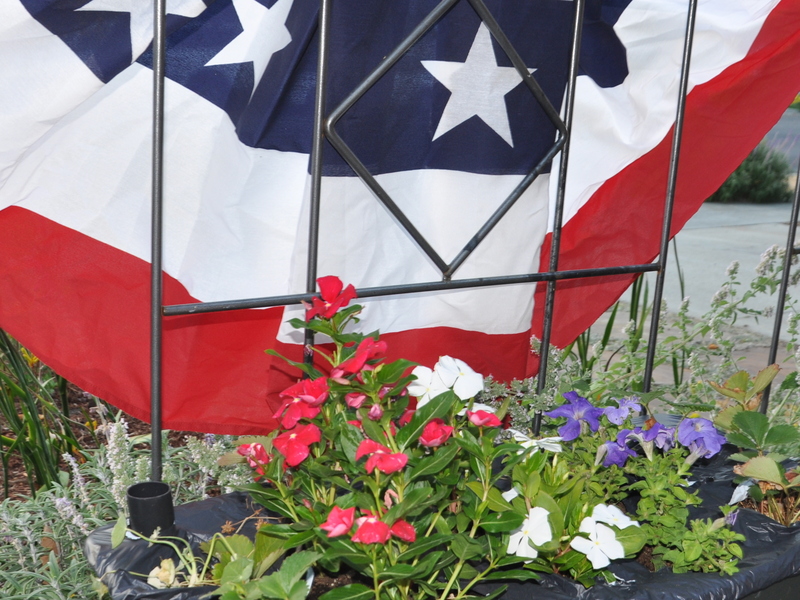 This entry was posted in Personal Essays and tagged 4th of July, American democracy, Bookmarks, declaration of independence, democracy, freedom of the press, Independence Day, LFL, Little Free Library. Bookmark the permalink. I am sorry that this time is causing you a little heart ache, Alys, but these days should always be a day of reflection as well as celebration. Thank you for that, Anne. It really has been a time of reflection. I appreciate your thoughtfulness. I hope you and the family enjoy your quieter celebrations and, if you’re staying home, at least you can keep the cats company and reassure them when the noisier ones start up elsewhere. The library looks gorgeous decked out in the red, white and blues and those little bookmarks are a lovely idea. Thank you, L. Books and gardens bring solace, so they both seem like a good place to direct my energy. We’ve started the day with a walk and so far the neighborhood is quiet. Mouse has his own “suite” in the garage, where he feels at his safest. Lindy is tucked into our bedroom closet, and Tessa is too young to be upset about the booms so far. That’s a gift in itself. She is such a shining light in our lives right now. Here is another self-evident truth: presidents and their deeds come and go, but the Declaration of Independence is forever. A nation that cleaves to the spirit of that declaration will abide, despite the efforts of bigots, egotists, racists. All evil can be undone if enough good men refuse to accept it. May it be a day of goodwill, happiness, celebration – and not too many loud noises! That’s a terrific quote, Kate. Thank you for sharing. I’ve not heard it before, but find it remarkable appropriate to the situation at hand. 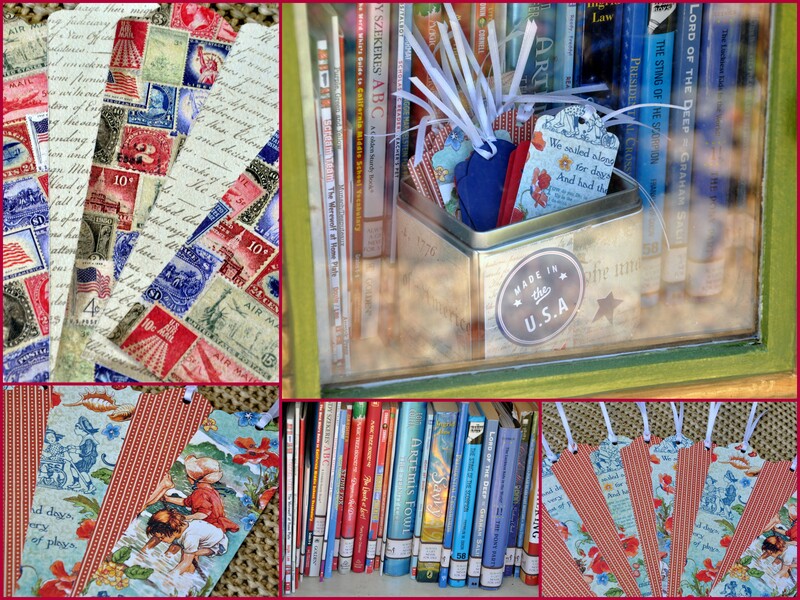 I love the red, white & blue books and the sweet bookmarks. Hope your 4th is nice and comfortable for you and the cats. Thank you, Maria! Wishing you a safe and happy 4th with your family. I know you’ll be missing your dad this time of year. Sending love your way. If a little free library is flourishing, you can take heart in your country….. I think…….I hope. 🙂 Enjoy your 4th of July in your own special way. I sure know how you feel, Alys. It’s a strange feeling, for sure, and the way I’m choosing to approach the day is to think about the Founding Fathers, their vision, their passion for a wonderful America–and the words of that Declaration. We’re honoring America as it can be today, not so much America as it is . . . Beautifully said, Kerry. I didn’t expect to feel quite so blue this time of year. It crept up on me. Or course 45’s recent shenanigans feel like a new low, though I didn’t think that was possible. There was an impeach rally yesterday in the Bay Area. Three cheers for America as it can be. Love to you and yours. If your menagerie of cats can reach a truce and live side by side peacefully, then those of us with supposedly intelligent minds should be able to as well. I’m with you, I miss the party atmosphere when the kids were small but cherish these quieter times now. Your RW&B papers and bookmarks are so festive! Love them and it would inspire me to borrow a book. 🙂 BTW, I do agree with Kate as well. Smart lady, good heart. (((Marlene))) It’s amazing how the three cats so quickly worked things out. It doesn’t seem like it should be that hard, yet here we are. Rodney King said it best: Can’t we all just get along? Enjoy your quiet day. We started outs with a walk, and now the boys are enjoying pizza. Then the two of us are heading out for a quiet dinner. Bliss. Kate is all those things, and a whiz with her needle too! I hope you manage to forget your cares and have a wonderful day with your family! Excellent post Alys and I am a little blue along with you. You already know my feelings on our current situation. I also prefer smaller gatherings and I’m not much for small talk either. When our dogs were alive they would have to suffer through weeks of mortars before the 4th. We had to bring them to the Vet. to get tranquilizers in early June to calm them down. Most people are pet owners so I don’t understand the logic of blowing off what amounts to small bombs weeks before July 4th. Is it that they just don’t care about other pet owners of even their own pets or is it just the fact that whoever makes the most noise wins the contest. Tonight I understand the fireworks and celebrations and I hope you and your family have a great 4th. My feelings on the state of the nation can be summed up with one image that I will post on Monochromia – http://groupexpo.wordpress.com this coming Wednesday at 1:00 New York time. Thank you so much, Joe. I figured you were probably feeling similarly blue. It’s nice to hear you’re a fellow introvert, preferring small gatherings and meaningful conversations. I’ve had many friends over the years with dogs, who like you, had to have the dog sedated for several days around the 4th. It’s so traumatizing for them with their acute hearing. Poor things. I hope your 4th passed quietly as ours did. We went out for a quiet dinner and a movie and forgot about our cares for a little while. The cats did okay. Perhaps this time next year, things will be looking up. We can only hope. Great image, Joe. Thank you for sharing it. I’m with you Alys, though I think our democracy is strong enough to bounce back from 45, I look at it as a dark period that hopefully will make us more involved in the future. Just smell the flowers from your garden and think about happier times (like when 44 was in office). I miss 44! I hadn’t even thought about what a lovely, even number he filled too. Balance and focus and a decent human being. How I miss both he and Michele. She was the coolest first lady ever! I’m glad we can’t see the future. It’s good to start each day fresh and full of promise. I heard just last week that since the turn of events in Britain with May loosing her majority, that a number of people don’t want Brexit to go through. Here, 45 has fallen to a 37% approval rating, and my guess is it is closer to 15%…the diehards voters will hang on till the bitter end. If we thought he was an embarrassment before, I’m pretty sure the G20 sealed the deal. On happier subjects, the bookmarks are making their way into the hands of habit readers, as are the selection of books. Now *that* makes me happy. I am in complete agreement with you, with the exception that our poor dog, not cats, has had to be artificially calmed. Tonight won’t be the end of it here either. 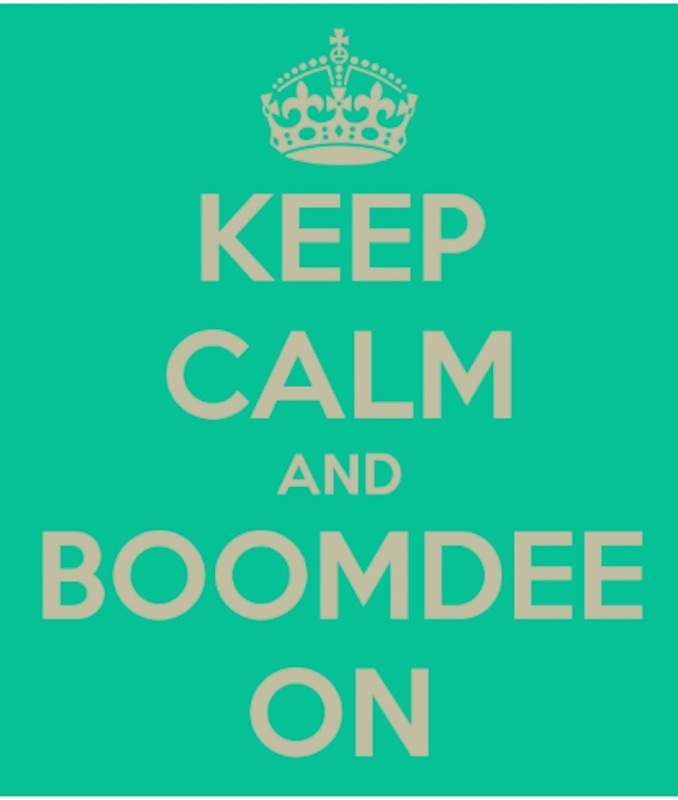 In spite of local laws there will be snaps, pops, and booms for a few more days. Oh Sue, your poor dog. It’s so hard on them. Our local fire department published an article a few days after the fourth aimed at uses of illegal fireworks. They pointed out the number of injuries, some quite serious, across the country. People’s responses were appalling. I just don’t get it. I hope things have finally settled down for you. We have had a very quiet day. Our city also bans fireworks, but the neighboring cities that don’t are causing our poor dog such angst, that we’ve just had a calm day. I absolutely love the look of your library! There is a little comfort, I hope, in knowing that your feelings are shared, certainly by me, but also millions of others. It’s distressing, but as I’ve been reflective all day, I’ve focused on the fact that it was citizenry, not one leader or political party per se, that shaped our country and it will be people who will continue to coalesce and create a different kind of “American Revolution.” I pray no violence, but focused advocacy, change and support for those who are being left out and left behind! “Let freedom ring” has taken on greater significance for me this year. Debra, thank you! It is comforting knowing I’m no alone in my feelings. I really appreciate (and agree, too) what you’ve said. I believe we are due for a new revolution, but one that peacefully brings us together. Finding honest compromise, trust and a humanitarian approach, I believe, is our only way forward. I’m sorry about your pooch. Dogs have such heightened hearing, that it can only be misery for them during the onslaught. I have several friends that have to sedate their dog for the entire week of the 4th. We truly share your feelings, dear Alys! We had a quiet, reflective Independence Day here, too. It was the first time that I didn’t plan a family gathering. Red, white,… and blue describes exactly the way I was feeling as the holiday approached. Several other friends mentioned that they were feeling the same way this year. Tears flowed for our wounded, divided nation as we watched the Capital Fourth on PBS last night. I remain very hopeful that we can come together as Americans. Thank you for sharing your perspectives, Dawn. It’s comforting knowing that others feel this way, too. We are wounded and divided and there are days when I feel a real sense of despair. I wish I knew what would set things back on a healthier course. We used to value education and diplomacy as a nation, and right now both seem in short supply. Without hard work in compromise, we can’t move forward. Sigh. Thanks for your kind words on the Little Free Library. It is like tending a garden! How right you are. Cheers for Kate and her comment! I can only hope she’s right. It’s nice to reflect, though, on the reason for the holiday as well, and I’m glad you chose to put your thoughts in the blog for us! Thank you, Lisa. Much appreciated. I hope you’ve enjoyed your week off of work and that you’ve found a good ratio of getting projects done while putting your feet up with a good book or time with friends. I did. It was good. thanks, Alys.